SPOKANE, Washington, February 4, 2019 (LifeSiteNews) – A Catholic bishop has warned pro-abortion politicians who call themselves “Catholic” and who reside in his diocese that they “should not” present themselves to receive Holy Communion. 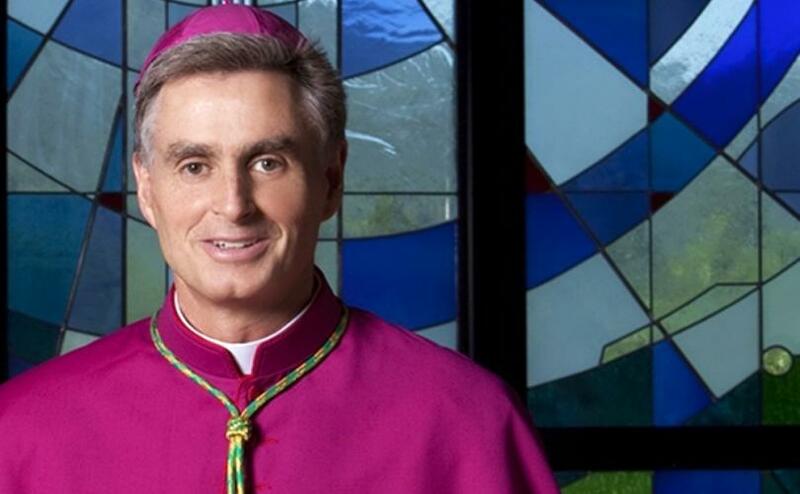 “Politicians who reside in the Catholic Diocese of Spokane, and who obstinately persevere in their public support for abortion, should not receive Communion without first being reconciled to Christ and the Church,” wrote Bishop Thomas Daly of Spokane, citing Canon 915 of church law (read full letter below). In a tweet, the bishop said that “willful murder of unborn children is a grave evil,” and called on Catholics to read his Feb. 1 letter. A spokesperson for the Spokane diocese said that Bishop Daly’s letter is not commenting directly on any politician in his diocese, but seeks to clarify that the “Catholic faith and public abortion advocacy are incompatible.” Those who publicly support access to abortion, the spokesperson said, “should refrain from receiving Holy Communion,” according to CNA. Bishop Daly mentioned Cuomo in his letter, stating that it is “unacceptable” to call oneself Catholic and champion abortion. “The champion of this abortion legislation is Andrew Cuomo, a Catholic and governor of New York. Governor Cuomo frequently cites his Catholic faith in support of legislation he favors. His public witness as a Catholic politician, coupled with his stalwart support of abortion, is unacceptable,” the bishop wrote. “Efforts to expand access to abortion, allowing murder of children up to the moment of birth is evil. Children are a gift from God, no matter the circumstances of their conception. They not only have a right to life, but we as a society have a moral obligation to protect them from harm,” he stated. The issue of withholding Communion for pro-abortion Catholic politicians has been contentious in the U.S. church. At a 2004 meeting of U.S. bishops, the now-disgraced ex-Cardinal Theodore McCarrick withheld a letter addressed to the bishops by then-Cardinal Joseph Ratzinger (the future Pope Benedict XVI) on this issue. Titled “Worthiness to Receive Holy Communion: General Principles, the letter provided guidance to the bishops about Catholics in political life. Each January as the nation commemorates the sad anniversary of the Roe v. Wade decision, marches are held, and vigils are prayed. Those committed to the cause of human rights of the unborn make their voices heard. This year, pro-abortion politicians fearing increased restrictions on abortion have advocated for and passed laws expanding access to abortion in the state of New York. Similar attempts have been made in Virginia. Efforts to expand access to abortion, allowing murder of children up to the moment of birth is evil. Children are a gift from God, no matter the circumstances of their conception. They not only have a right to life, but we as a society have a moral obligation to protect them from harm. The champion of this abortion legislation is Andrew Cuomo, a Catholic and governor of New York. Governor Cuomo frequently cites his Catholic faith in support of legislation he favors. His public witness as a Catholic politician, coupled with his stalwart support of abortion, is unacceptable. I encourage the faithful to turn to our Lord in prayer for our political leaders, entrusting them especially to the intercession of St. Thomas More, a public servant who preferred to die at the hands of civil authorities rather than abandon Christ and thI encourage the faithful to turn to our Lord in prayer for our political leaders, entrusting them especially to the intercession of St. Thomas More, a public servant who preferred to die at the hands of civil authorities rather than abandon Christ and the Church. Let us also keep the unborn, as well as all pregnant mothers, in our prayers. This entry was posted on Tuesday, February 5th, 2019 at 4:56 pm	and is filed under News & Commentary. You can follow any responses to this entry through the RSS 2.0 feed. You can skip to the end and leave a response. Pinging is currently not allowed.